JJ Redick is joined by Philadelphia 76ers general manager Elton Brand to discuss playing for the Los Angeles Clippers when Donald Sterling owned the team (06:01), his path from NBA player to general manager (22:55), why he’s not on social media (33:51), who’s helping him as a mentor now (42:08), and, of course, Duke (43:25). JJ Redick is joined by the Magic's 2018 lottery pick and New York native Mo Bamba to discuss his maturation during the NBA draft process, lessons learned during summer league, fitting into the modern NBA, working with the other young players in Orlando, and the culture of posting offseason workout videos. JJ Redick sits down with rookie sensation Donovan Mitchell to discuss taking the NBA by storm in his first season (9:00), reasons to love living in Utah, his desire to be drafted by Michael Jordan (17:00), what it would mean to win Rookie of the Year (24:05), the obsession with rewatching film from the playoffs (36:00), and ways to improve his game in year two. JJ Redick sits down with National Basketball Players Association executive director Michele Roberts to discuss fan backlash over another NBA Finals featuring the Cleveland Cavaliers and Golden State Warriors (04:10), why NBA players have more freedom to express themselves (09:45), and what the NCAA, the NBA, and the NBPA are doing about the one-and-done rule in college basketball (40:16). JJ Redick sits down with retired basketball star Ray Allen to talk about sticking to a routine (6:45), navigating the expectations of others while playing in the NBA (28:08), and starring in the classic basketball movie 'He Got Game' (39:35). JJ Redick sits down with his Philadelphia 76ers teammate T.J. McConnell to discuss being an unlikely hero of the Process (4:14), his unconventional journey to the NBA (7:14), and developing as a young player on a team without veterans (20:14). 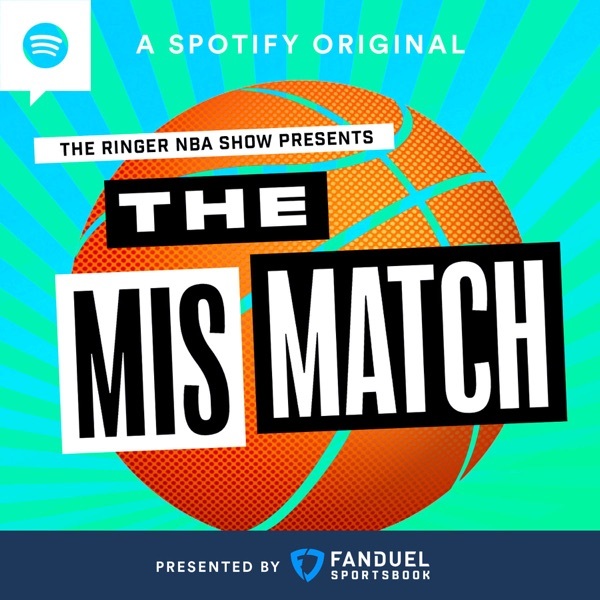 Then, they discuss McConnell’s basketball superpower (26:30), playing under 76ers head coach Brett Brown (31:24), and their mutual love of wine (35:31). JJ Redick sits down with retired soccer superstar Thierry Henry to discuss NBA fandom in Europe (5:01), the differences between basketball and soccer (9:51), and the importance of intelligence for athletes (15:22). Then, they discuss the improvements that youth sports programs can make (30:34), dealing with the burdens of being a goal scorer (34:41), and the value of everything that leads up to a goal (39:01). JJ Redick sits down with Boston Celtics superstar Kyrie Irving to discuss conspiracy theories (1:45), traveling in London (11:45), the connection the two share as Duke alums (14:05), and how Kyrie developed his dribbling skills (19:20). Then, they talk about mental preparations before a game (32:35), the details of Kyrie’s move to Boston (35:25), seeking out new challenges (41:40), and the unique greatness of Celtics head coach Brad Stevens (45:30). JJ Redick sits down with Minnesota Timberwolves star Karl-Anthony Towns to discuss the innate drive to improve (1:44), the evolution of big men in the age of "unicorns" (9:45), playing under Tom Thibodeau (27:19), meticulous self-care routines for NBA players (35:49), and the role of athletes in social activism (47:19). JJ Redick is joined by ‘The Late Late Show’ host James Corden to discuss the importance of routines for performers (2:00), finding happiness in Hollywood (14:30), and getting into American sports (23:30). Then, they discuss balancing political material in the show (30:00) and incorporating music into comedy (44:00).